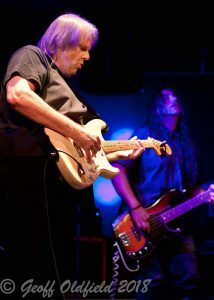 MUSIC REVIEW: Walter Trout with Special Guests Broken Witt Rebels at The Live Rooms, Chester. 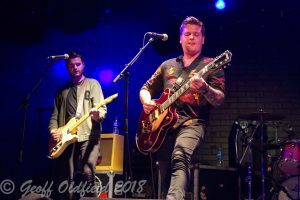 The overwhelming rise in popularity of the blues rock genre is evident in the number of people who turned out at The Live Rooms in Chester to watch some of its finest exponents in action. Walter Trout is undoubtedly a legend. His time with Canned Heat and the groundbreaking John Mayall and The Bluesbreakers etching into music history a legacy that is indelible. Broken Witt Rebels are new kids on the block. However such has been the acclaim that has gathered around the Birmingham band, with Danny Core’s gravel-lined vocals becoming as distinctive and petrol driven as anything else around, their’s is a legacy in the making. It’s the drive, intensity and energy this band produces time and again that really mesmerises. From the opening Low to the closing bars of the feisty, up-and-at-em Guns, Core has the crowd in the palm of his hand and refuses to let go. It’s not all about the frontman however. James Tranter‘s guitar work is slick and honed, the perfect foundation on which to build the kind of ballsy blues rock BWR are renowned for. All of which is underpinned by some masterful bass work from Luke Davis and some powerhouse steerage from the rear by drummer James Dudley. A sublime set that was over all too quickly, Broken Witt Rebels underlined exactly why their debut album Loose Change has been so well received. 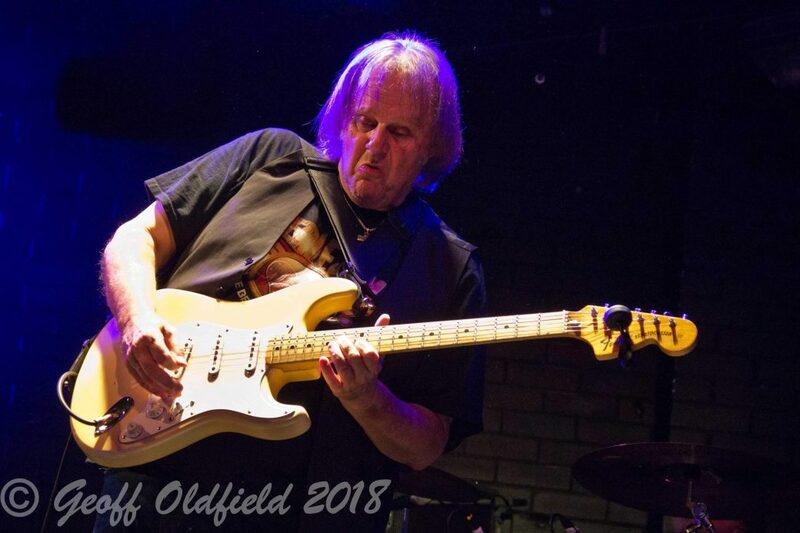 Four years ago, very nearly to the day, Walter Trout was undergoing life saving surgery which would eventually lead to his having a liver transplant. Following an eight month stay in hospital, brain damage and having to relearn how to play the guitar, Trout returned two years later to release the monolithic, deeply dark Battle Scars album that saw him welcomed back to the live arena with unprecedented warmth and admiration. Two years on from that and we have We’re All In This Together. An award winning album of fourteen duets with some of the most recognisable names in blues rock today, including Joe Bonamassa, Sonny Landreth, John Mayall and Randy Bachman. Oh for that tour to become a reality!! Still, let us not be downhearted. What’s on offer is more than suffice to satisfy even the hungriest of blues rock hounds and, in the hands of this master craftsman, the high-end delivery is non-stop from first to last. At 67,Trout might be forgiven for slowing down a little. Not a bit of it. 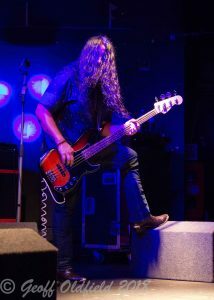 Here is a man born to play and wirth a band as capable as his to back him up, what more could anybody wish for? Walkin’ in the Rain, Cold, Cold Heart and It Serve You Right to Suffer – with the latter becoming a showcase for the mesmerising talents of bassist Danny Avila and drummer Michael Leasure – are delivered with rock-solid brilliance, whereas the new songs such as Hurt Like Hell, here with Rod Mayall, brother of John, taking over the keys from the impeccable Sammy Avila, are surely destined to become future crowd pleasers. The highlights are many, but it is the appearance of young Oliver Vaudrey during Dust My Broom and the even younger, at twelve years of age, Issac Grover, both of whom more than kept pace with Walter during their duels, that will live long in the memory. With Andrew Elt’s storming vocal contribution to Going Down damn near lifting the roof off The Live Rooms, it’s time to bid farewell to a blues legend and his entourage. Until next time, that is.